you would call me and tell me about your crazy and funny dreams. you would wake me up in middle of my sleep and start off with your intellectual series. cause you were my companion, a shoulder to cry on and a partner in crime . it can be hard to find a way to pick up the pieces and rebuild your relationship. it’s so hard to carry on, like nothing is wrong and you still have everything. regardless of how compatible you are at the height of the friendship, it may end . and I think, I might be better off without your friendship, which is not worth keeping . with only memories around me and the silent wind that blows. much more to me was your friendship, I must tell you this truth. you make significant headway towards getting back the friend you once had. when your friend says, ”we simply drifted apart and that it’s your fault that it ended”. cause now there’s load on my chest and, I have lost trust in you and all my strength. acknowledging the fact that you have walked out of my life without giving me a clue. 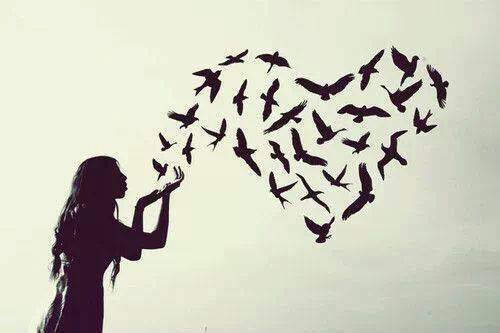 when you let go a person, you love, you don’t feel any motion . if you weren’t meant to be, you won’t be and this is how life goes, so it’s better to let it go. simply because the mind doesn’t show but the heart says ‘I still remember you’. times when you were to pick me up when I stumble and fall , cause I still remember you. The Violent thoughts, please be silent. As soon as the alarm clock screamed in my left ear, I woke up and rolled out of my bed. The gleam of the sunlight was entering through a crack in the window. I mildly opened the door of my balcony to inhale pure and true freshness of the 4pm air. I was already having a joyous feel, and by embracing the sunlight with the shimmer of the bulb chains decorating the neighbor’s houses, I felt the beauty of the place. I did my morning namaaz, took my shower and wore a plane white kurta-pajama which my grandmother gifted me. I went down stairs to look if everyone was ready with their luggage and kids. We all sat down in our veranda for the breakfast served by my ammi and my choti ammi. As I sat crossed legged comfortably on that pale red mat with my plate, I realized how euphoric the moment was, the faces of my family were glowing, and a beatific smile decorating it perfectly. While my ammi was serving us the food, I looked at her wrist, adorned with new red and green bangles. Admiring the beauty I was reminded of a poem. Eid was here. Happiness and love, was all around. We had decided to visit our very old Maszid that day, to pray for health and happiness, to celebrate this festival on the land from where we belonged. I had a smile on my face with a thought, that Allah is great; because of his blessings this trip has been arranged. We were 30. Family, neighbors and friends; captivated by the love of God, and enraptured by the music of love and joy around. Everyone boarded the bus. I asked the driver to clean the dusty roof and helped him to strap the luggage with a withered piece of rope. Our driver, Akhtar closed his eye, did his prayer for a minute and started off the bus. 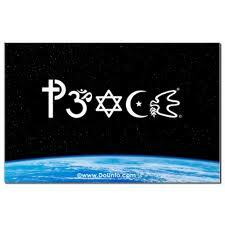 all religions are but one religion. and is only lent to created forms and beings. who alone deserves to be praised? But they go astray in useless fantasy. Everyone in the bus appreciated it, because the lesson it teaches is very deep. After I finished singing the poem, the driver informed us that we have reached half the way. His voice, his facial expression made me nervous. I couldn’t gather enough courage to inform this to everyone who was travelling with us. The delighted look on their faces flashed my mind. I thought they all will become overwrought on hearing a bad news. I didn’t want them to know about it. I asked Akhtar to stop the bus near a Dhabba. The idea was to check the fault in the engine without getting noticed by any passenger. The moment I stood up to open the door of the cabin, I hear a sparking noise, and within a second, the bus got exploded. Now, when I am writing this I remember how painful, how disastrous it was. I lost my family and friends. I was in tears that didn’t seem to stop. Me, and two uncles somehow, by our Allah’s grace survived. I still remember the dark black bodies of my Ammi, Abbu and two younger brothers. The dark orange flame swallowed them completely. The blood was spilled on the floor of the bus as if someone has painted the floor of the bus with dark red paint. The low whines of babies. These voices and the scenes of this accident give me goosebumps even now. I was shocked to read it. No, this did not happen. I t was a technical fault. How can they blame the villagers? How can they write anything without properly investigating? I was furious after reading a fake news. Just as I finished reading that article, I was informed that one of men who were luckily saved by villagers couldn’t bear the pain of the machines, though the other man was still struggling with those machines, injections and medicines. I was so much angry that I requested my doctor to call the police. I had to tell him about what actually happened that afternoon. After 45 minutes of waiting, the police arrived. I explained them about the accident that happened because of the technical fault in the engine. They were surprised to hear the truth from me. He told me that since it was Eid that day and we were near a village with majority of Hindus, everyone concluded that this wasn’t an accident but a successful attempt to kill the Muslims. I asked him how the media can print any news without properly knowing the truth. The police then apologized for not investigating sincerely, and informed the commissioner and media about the truth. Correction was made in the next issue of the newspaper and an apology from the writer of that article was also taken. I was in a relief that no Hindu was killed or arrested for the crime they didn’t commit. I packed my bag and headed to my home, to smell the beauty of the place that was still lingering. I got an eerie feeling when I entered into the chilly winds. I saw a man, coming out from the fog. I could hear the footsteps of that 6’1 inches tall man coming towards me. His face was clearly visible, and the next step on the land became effortless. the smile bringing creases on his face was vivid, and that scary feeling went away.